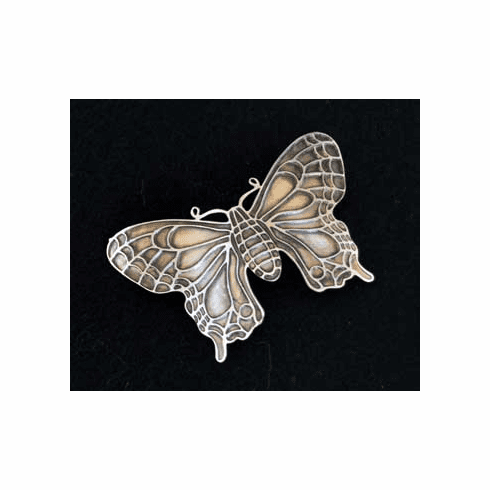 Butterfly Spirit Pin - A perfect accompaniment to our Butterfly Spirit Earrings. Made in Rhode Island of fine sterling silver plate with an antique finish, measures 2" by 1-1/4". Gift Boxed.